Officers are appealing for information after a vehicle failed to stop following a collision on the Isle of Wight. The incident happened on Landguard Road at the junction with Falcon Cross Road, Shanklin at around 6.37pm on Friday 28 December. The collision involved two silver Ford Focus’; one of which was being driven by a 55-year-old man. His 25-year-old daughterwas in the front passenger seat. The driver of the other vehicle failed to stop at the scene, mounted a pavement and then drove off at speed. The front number plate from this vehicle was left at the scene showing the registration number CP53 VAU. The man and woman from the first vehicle were left shocked by the incident. The woman suffered severe whiplash and received hospital treatement. 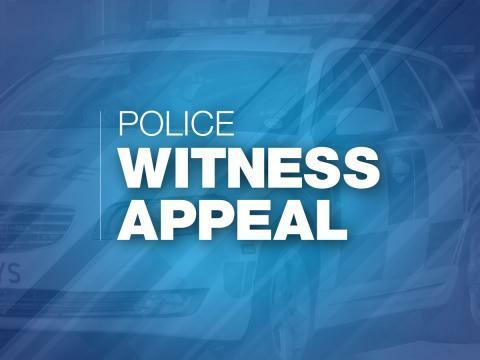 PC Dominic Green, said: “I am appealing for anyone who witnessed this collision or anyone who thinks they may have seen the vehicle which made off, before or after the collision, to come forward. “I am also asking anyone who thinks they may have seen this vehicle abandoned in the area, to let us know. It’s a silver Ford Focus with only a rear number plate remaining, which shows registration number CP53 VAU. It will have suffered front end damage in the collision. If you have any information, please contact us on 101, quoting reference number 44180480325.